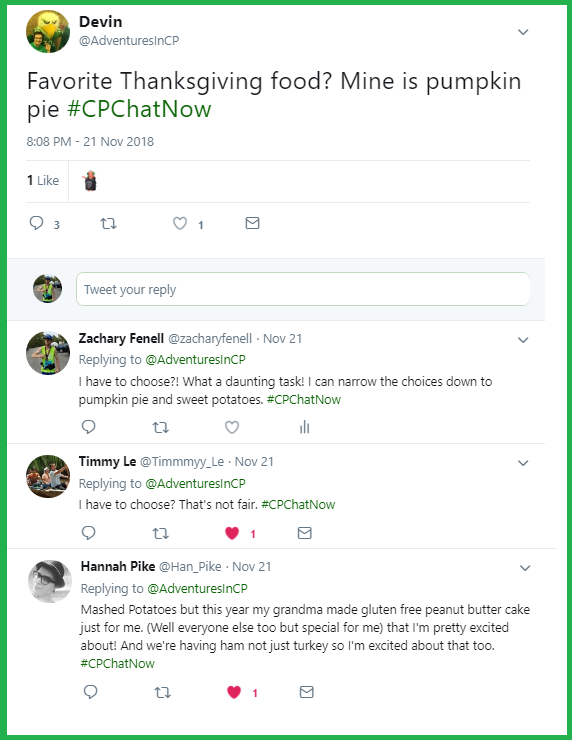 Before participants in the CPChatNow community gathered with loved ones to celebrate Thanksgiving, they assembled for the live cerebral palsy Twitter chat #CPChatNow Wednesday, November 21st, 2018. 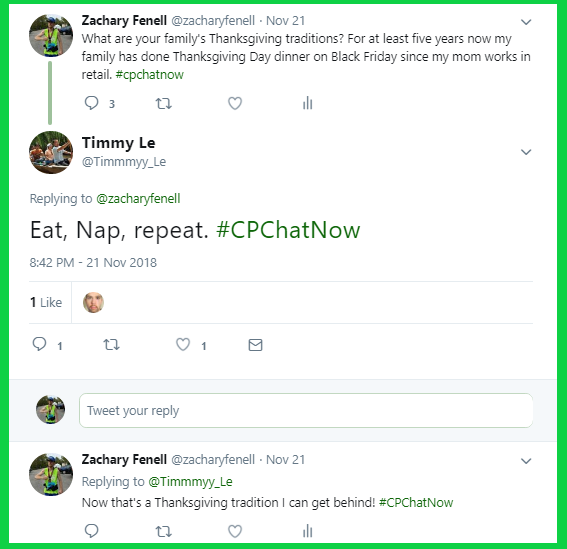 I am co-host Zachary Fenell, here to reminisce about the November 21st, 2018 chat the best way I know how. 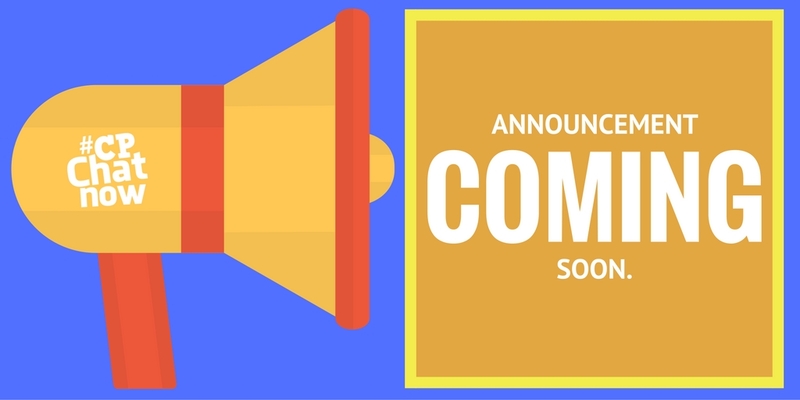 Your weekly recap! 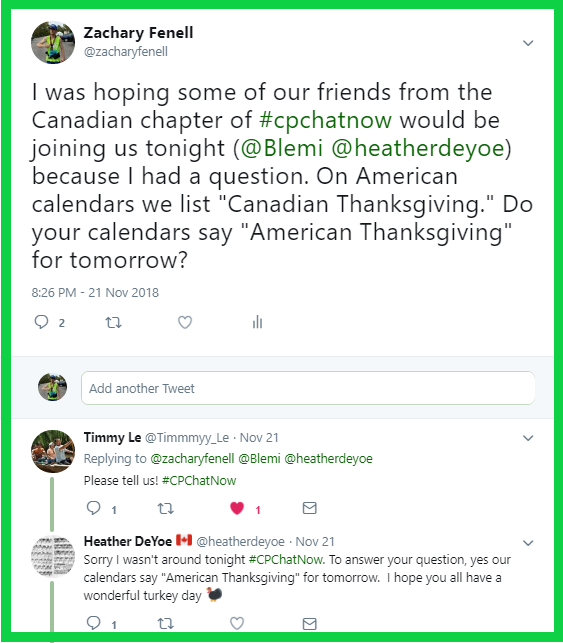 Thanksgiving emerged as an early discussion topic thanks to my co-host Devin Axtman. Devin asked people to share their favorite Thanksgiving food, naming pumpkin pie as his. Both Timmy and I experienced difficulty picking just one! Hannah meanwhile said mashed potatoes are her favorite, although this year Hannah looked forward to a special gluten free peanut butter cake her grandma made. 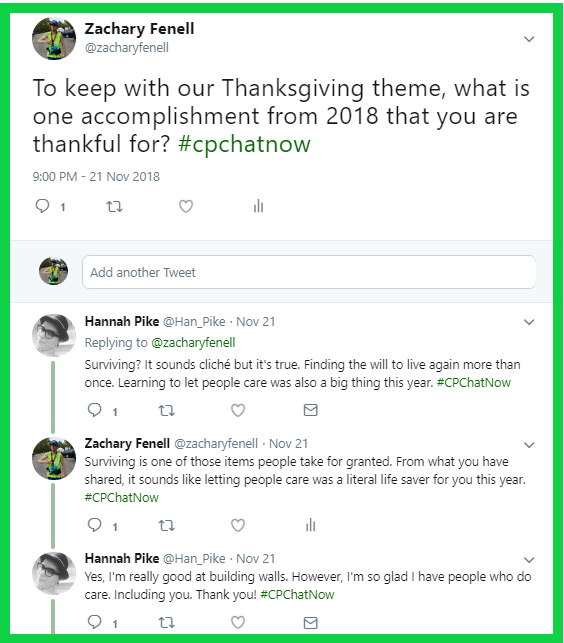 Aware not everyone celebrates Thanksgiving in November, I asked a question. Keeping to a Thanksgiving theme, we also discussed Thanksgiving family traditions. 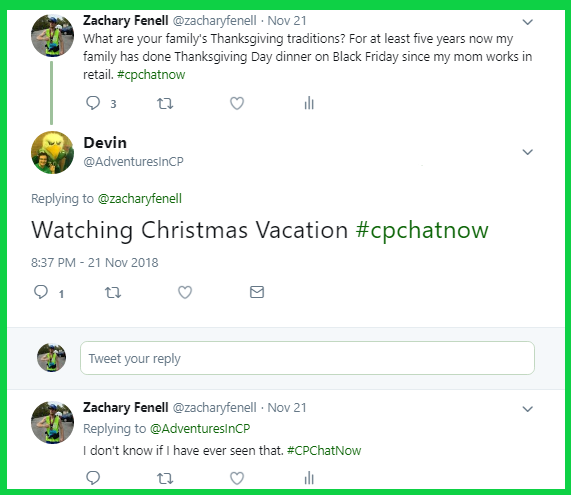 Devin shared his family watches Christmas Vacation on Thanksgiving. Meanwhile Timmy’s Thanksgiving tradition sounded quite enjoyable. He eats, naps, and repeats. I however need to patiently wait until Black Friday to eat. Since my mother works in retail, eating Thanksgiving dinner on Black Friday has become the Fenell family tradition. 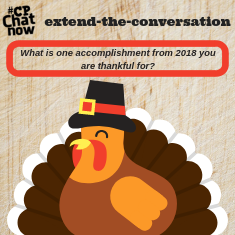 Still I find Thanksgiving Day a reminder to show gratitude, which led to the next question. Leave your answers in the “Comments” section below. 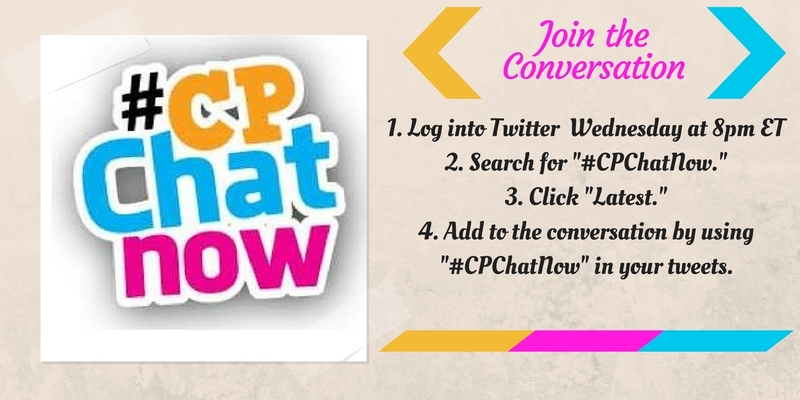 Then come join the conversation LIVE Wednesday nights on Twitter, starting at 8pm ET.